Currently, we are seeking to compete internationally in the 2018 American Solar Challenge. This annual competition for post secondary students is organized by the Innovators Education Foundation. The chassis is a high strength aluminum tubular space frame that can withstand over 5g of force. This provides the required high strength to weight ratio. Our suspension is made from high strength steel, utilizing a dual unequal length a-arm design. We have in-board shocks for easy adjustment and lightweight cast magnesium wheels. Our brakes are a hydraulic disk set up using custom designed rotors and driver pedals machined from high strength aluminum. The face of the car is the aerobody. This is where designing becomes specific to solar racing. The body is made from layers of Kevlar and fiberglass, with carbon fiber sandwich panel reinforcements. The unique shape and materials of the body allows for a large flat surface for the solar array, optimized aerodynamics and a low weight. 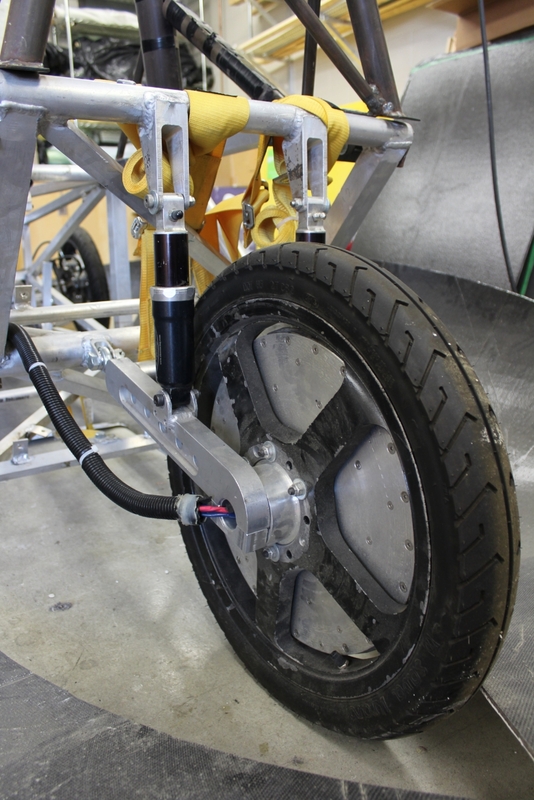 The motion of the solar car comes from a brushless DC in-wheel electric motor. It is being redesigned based on the CSIRO motor design, using carbon fibre rotors and a coreless stator. A motor controller is required to run the motor based on driver inputs. We are currently programming an Elmo MC controller and are conducting research into designing a controller specifically for our custom motor. The blood of a solar vehicle is electricity, which would make the batteries the heart. We use lithium polymer cells in our battery pack, giving us a rating of 120V nominal at 30Ah. FUN FACT: the SunStang car has always been #96, and there are 96 battery cells in the pack! The Battery Protection System‘s primary objective is electrical safety: it simultaneously monitors and maintains safe levels of current, voltage, and temperature of the battery pack. Telemetry takes data from all systems of the car for monitoring and diagnostics, sending this info to the driver display and to an off-board computer for real-time analysis. 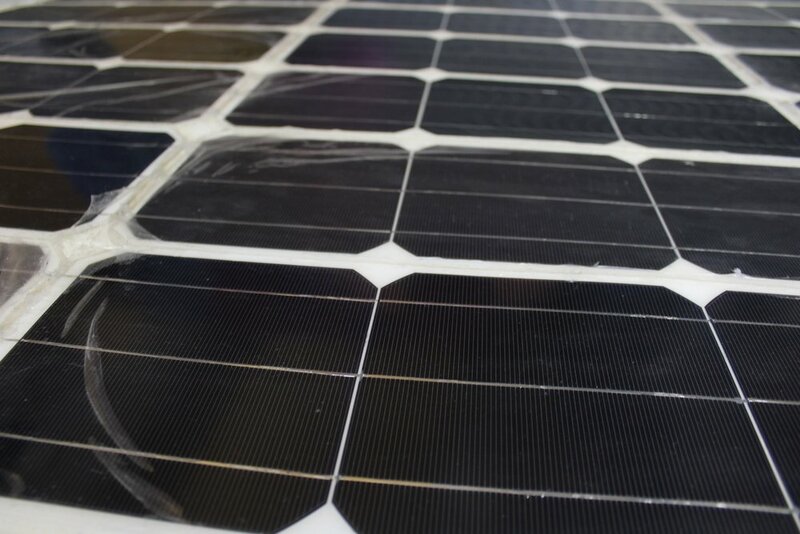 We use polycrystalline cells in our solar array. These cells essentially perform an energy conversion from sunlight to electricity so that we can power the innovative machine that is our solar car.